Of the many admiring reviews Bram Stoker's "Dracula" received when it first appeared in 1897, the most astute praise came from the author's mother, who wrote her son: 'It is splendid. No book since Mrs. Shelley's "Frankenstein" or indeed any other at all has come near yours in originality, or terror. 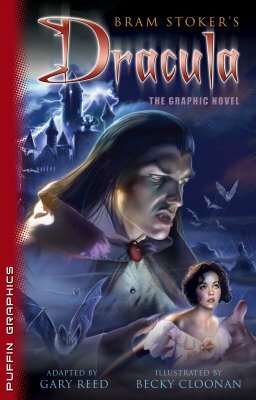 'A popular bestseller in Victorian England, Stoker's hypnotic tale of the bloodthirsty Count Dracula, whose nocturnal atrocities are symbolic of an evil ages old yet forever new, endures as the quintessential story of suspense and horror. The unbridled lusts and desires, the diabolical cravings that Stoker dramatized with such mythical force, render Dracula resonant and unsettling a century later. Bram Stoker (1847-1912) was born in Ireland and attended Trinity College in Dublin. He joined the Irish Civil Service, then became involved in the theater. He wrote seventeen books.